For more than 50 years, chemicals such as nitrites have been used to control corrosion in closed loop chilled and hot water systems. The chemicals attempt to coat all the metal surfaces to reduce corrosion, but do not actually reduce the real problem, dissolved oxygen. Insulating black iron deposits in piping, heat exchangers, coils, etc. Series C was designed to solve these three problems by simply removing the dissolved oxygen, filtering the water down to 3 microns and preventing new as well as removing insulating deposits. Within just a few weeks of installing our Series C system, you’ll see a significant reduction in dissolved oxygen and corrosion in your closed loop system. Over time, the water becomes clear and free of iron particles, and the insulating deposits are removed, which saves a significant amount of energy and maintenance costs. 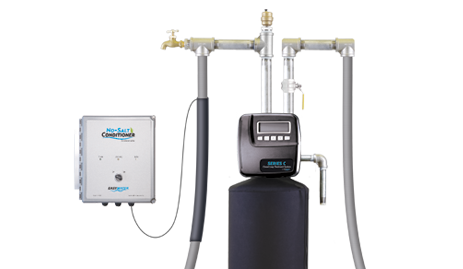 Find out more about our Series C Closed Loop Treatment System by contacting us today at 1-888-766-7258, or by filling out our free estimate form below.